This event documents a change to user right assignments on this computer including the right and user or group that lost the right. Rights, like most other security settings, are defined in group policy objects and applied by the computer. Therefore this event will normally show the Assigned By user as the system itself. To determine who actually made the rights assignment change you must search the domain controllers' security logs for changes to groupPolicyContainer objects (logged by Directory Service auditing). Logon ID allows you to link this event to the prior event 4624 logon event of the user who performed this action. 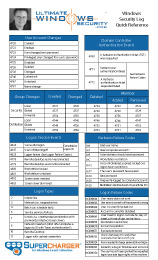 Note: This event, 4705, and 4704 do not log changes to logon rights such as "Access this computer from the network" or "Logon as a service". See events 4714 and 4718. The ID and logon session of the user that revoked the right. Unfortunately this is just the local system account - see above. A user right was removed.